Posted on March 3, 2014 by Lena K.
Non Non Biyori is a show about some kids living in the countryside, doing whatever you can do living there. You could say there is no real plot, it’s just some kids having fun. To be honest, with a description like this, I didn’t think that this might really be interesting in any way, but I was so, so wrong. 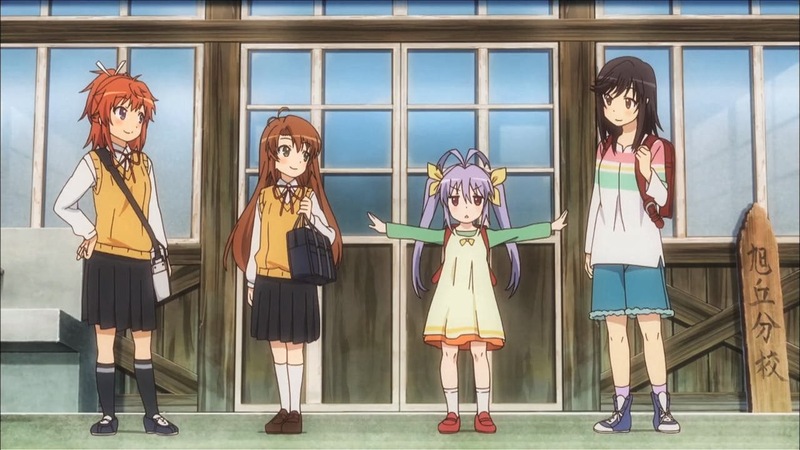 Non Non Biyori really only shows the daily lives and the not-so-exciting adventures of 4 kids living in the countryside, far away from any big city, but it’s so good at that! Also, there’s Natsumi and Komari’s older brother, Suguru, who will probably not leave any kind of impression on you, and there are also some other characters involved, such as their teacher, other friends, and also family members. But the main group is only made up of the 4 girls I listed above. Non Non Biyori is probably not the most hilarious anime, and I feel like that’s not really what it aimed to be in the first place. It was mostly just cute, funny at times, and only had a few scenes that really made laugh out loud. Still, it’s worthy to mention that there are quite a few really funny moments. I would say the real selling point of this anime is neither the comedy, nor the nice set of characters. Both are, of course, part of why this show is so good, but what really makes it so enjoyable for me is the fact that this show is so relaxing and easy to watch. 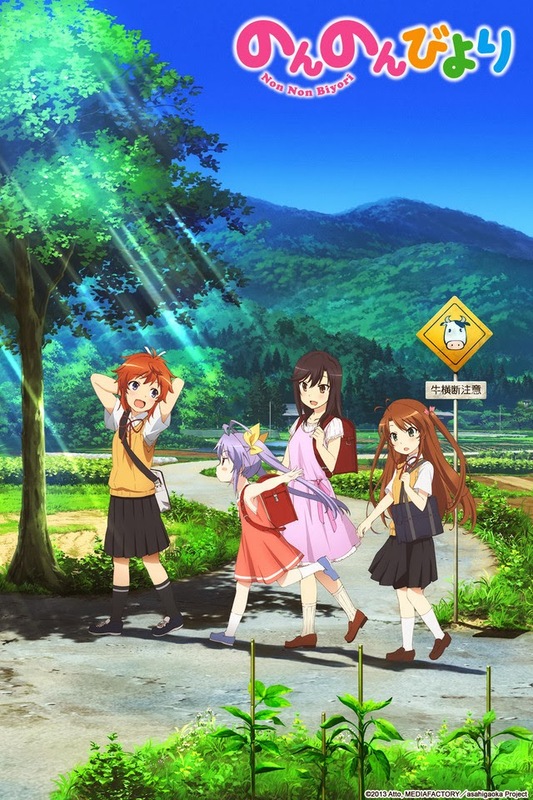 The music, the nice depiction of the countryside, and also the girls’ fun activities make this anime so relaxing that it’s probably the perfect show to watch after a busy day. Also, we should not forget about the yuri subtext in this show, and there’s surprisingly much going on in this department. Well, we’re talking about very young girls, so there’s nothing that serious going on, but I have to say, I was quite satisfied with the amount of yuri in this show. It’s all thanks to Hotaru, who has a big crush on her senpai, Komari, who she mostly loves for her cute size and appearance. Finally, I can only say that I really enjoyed watching this anime. I wasn’t all that interested at first—because the plot simply didn’t sound all that interesting—but I’m glad I gave this one a try anyway. 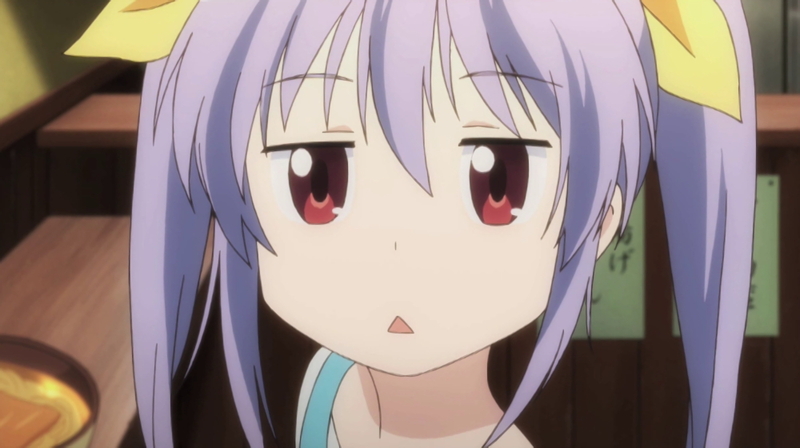 This entry was posted in Anime, Anime Review and tagged Non Non Biyori by Lena K.. Bookmark the permalink. All will kneel before the mighty champion! All will respect her heart and tenacity, both worthy of a champion. Give her time and she will conquer the heart of her beloved shortie. A true champion never gives up and she is a champion. Oh and of course I haven't forgotten the shop owner “imprinting” the little one. admin what about kin-iro mosaic….. I think the OVA will air this year in July. Hehe I think you're the same person that suggested kino-iro mosaic a few weeks ago, aren't you? Still haven't watched it though and I guess it will take some more time for me to start it. Normally background music in anime is very good. However, in the first episode whoever played the wooden flute in the background should have been taken out. The piano and flute are not together many times, not to mention the flute sometimes doesn't hit the note on the first try. The only reason I can come up with is the two players recorded their parts at different times. I have only started watching it so I can't judge the anime overall, but I can't stand this musical abomination that I can only hope will not be a problem in the rest of the anime. I can't remember it that well, but I think it was simply Renge playing the flute.